On June 1, 2018 the President of the USA Donald Trump had a meeting with Kim Yong-chol, the Vice Chairman of the Central Committee of the Workers’ Party of Korea and the head of the United Front Work Department. He was formerly the Director of the Reconnaissance General Bureau. During the meeting, which lasted 80 minutes, Kim Yong-chol handed Donald Trump a letter from Kim Jong-un. Before the meeting, Kim Yong-chol had a meeting with US Secretary of State Mike Pompeo. Given the high status of its participants, the meeting was as historic as the visit by the head of the South Korean National Intelligence Service to Pyongyang in 1972. That, however, was a secret visit, while Kim Yong-chol’s visit was widely publicized. Until recently, Kim Yong-chol, more than any other figure in the North Korean regime, was seen by the USA as a political pariah. The South Korean intelligence services accused him of organizing the attack on the Cheonan corvette, which South Korea claims was sunk by an unseen North Korean submarine. The contents of the letter have not yet been disclosed. The Wall Street Journal, citing a civil servant familiar with its contents, reported that it was “fairly basic” – and that it contained neither any threats nor any signs of a willingness to capitulate. As for the content of the conversation, President Trump described it as “about almost everything”, including sanctions. They did not talk about the human rights situation in North Korea, but in general the meeting went “very well”. Nevertheless, it seems that this direct contact with a representative of the DPRK leadership has helped make things a bit clearer in Mr. Trump’s head, who had earlier been led to believe by South Korean sources that Kim Jong-un was ready to resign. Immediately after the end of the meeting, Donald Trump announced that the USA and the DPRK had agreed to hold a bilateral summit on June 12 in Singapore, and that he was optimistic about the North Korean leader’s willingness to denuclearize. However, the American President also stated that he will not initiate any new sanctions against North Korea. That is despite the fact that the USA had “hundreds of sanctions” ready to be imposed on the DPRK. “But I said, why would I do that when we’re talking so nicely?”, Mr Trump said. And, most importantly, Mr Trump stated in an interview with Reuters that he had never said that agreement on the denuclearization of the DPRK would be reached in one meeting. “I think it’s going to be a process – relations are developing, and that’s a very good thing.” Donald Trump also pointed out that the denuclearization would have an effect on North Korea’s rocket potential. Finally, the US President said that he does not, as yet plan to sign any documents during the summit. The President of the USA is thus recognizing that the Singapore summit will just be the beginning of the negotiation process, and the question is not going to be resolved in a single meeting. The author of this article agrees – since there is no question of capitulation, a one-day summit is not going to produce many results. The most that can be done in the meeting will be to draft a road map for future cooperation and define the level of reconciliation which the parties will work towards. That is a fairly important reply, which shows that Mr. Trump has taken some steps towards a more pragmatic view of the situation. It seems that the US President understands that “checkmate in one move” is not going to happen, and so he is preparing a safety net for himself. If the first summit is not a complete success then it can at least be stated with confidence that it was just a first step (and in order for it to happen, Kim Jong-un has already made a number of concessions) and that the future meetings may be successful. It should be noted that on the same day Kim Jong-un met Sergey Lavrov, the Russian Foreign Minister, and he reaffirmed his commitment to denuclearizing the Korean Peninsula and expressed a hope that, little by little, this issue would be resolved. The leader of the DPRK emphasized that all questions relating to the improvement in relations between North Korea and the USA, and the denuclearization of the Korean Peninsula, would need to be addressed on a stage by stage basis, and that approaches should be found that would be in the interest of both parties in the new conditions. In Singapore and Panmunjom simultaneous meetings were held between representatives of the USA and the DPRK. In Singapore the parties discussed protocol and security issues, while in Panmunjom they discussed the main questions on the agenda of the summit between the two leaders, which, it has been announced, will start at 9 a.m. in the Capella Hotel on the island of Sentosa, Singapore. At first, many people expected the summit to be held at the Shangri-La hotel, where the Chinese leader Xi Jinping met with his Taiwanese counterpart Ma Ying-jeou in 2015 – the first meeting between the leaders of the two countries since 1949. But, when the choice of venue was being discussed the Capella emerged as the preferred option. This is because access to the site can be completely blocked off by closing the bridge and the other access roads to Sentosa island, where the hotel is located. At the same time the American intelligence service is compiling a dossier on the leader of the DPRK, by interviewing everyone they can who has met him, but the lack of reliable sources of information is making their task difficult. The collection of information is complicated by the fact that they do not have enough local agents, and by the difficulty of cyber espionage in North Korea, a country where the Internet is virtually non-existent. They see Kim Jong-un as a “rational actor”, whose priority is to ensure the preservation of his own regime and ruling dynasty. He is pitiless enough to have his own relatives assassinated, but now feels that his position is secure and is ready to enter into talks. According to the Washington Post, citing a source who is familiar with the situation, it is still uncertain who will pay for the North Korean leader’s stay in the Singapore hotel. Apparently, the US wants Singapore to pay his expenses. On May 21 it was reported that the White House had already commissioned souvenir medallions, bearing the profiles of Donald Trump and Kim Jong-un against the a background of their national flags, in honor of the talks between the USA and North Korea. What is the meaning of all this? It seems to the present author, in view of Mr. Trump’s aggressive negotiating style and reckless approach to doing business, that he sees the summit as a kind of test of his personal skills, and wants to see if he can push Kim Jong-un around in the context of a one-to-one meeting. The problem is that if he tries to talk to him like one businessman to another then he may find this strategy fails. Kim Jong-un sees himself as an anointed leader and does not make any distinction between his own personal fulfillment and the good of his country. It seems as if Mr. Trump both believes that the attempt to normalize relations with Pyongyang should have been made 5, 10 or even 20 years ago, and also that, if, in the past, America had been “paying them [the DPRK] extortion money for 25 years” (the present author has questioned this idea in a number of articles on the NEO site) he will not let anyone trick him. It is also possible that Mr. Trump is thinking about President Nixon’s historic visit to China, which enabled America to bring Mao round onto its side at a time when the USSR and Beijing were at a standoff. The present author considers that the level of tension between the PRC and DPRK is not so high, and he will probably not be permitted to establish diplomatic relations with North Korea, upgrading it from its current status of “currently unrecognized state”, (as the USA did back in the 1970s with Mao’s China). However, on April 19, in a press conference held after a meeting with the Japanese premier Shinzo Abe, Mr. Trump said, “if the meeting, when I’m there, is not fruitful, I will respectfully leave…”, and the present author was rather surprised at his volte-face in first “cancelling the summit” and then, later, reinstating it. It is necessary, however to bear in mind how little room for maneuvering Mr. Trump has: if the summit fails to bring satisfactory results this will be used against him by his many opponents, both among his own Republican Party, and among the Democrats. Readers may judge for themselves whether Mr. Trump should have held back from adopting a more pragmatic approach, given that the US Democratic Party had sent him a letter telling him that under no circumstances should the sanctions against North Korea be lifted until it had completely closed its missile and nuclear programs. The members of the Democratic party consider that, before the sanctions can be lifted, North Korea needs to stop producing uranium and plutonium for military purposes, completely close down its nuclear test site and the related infrastructure, and also stop testing ballistic missiles. Readers will remember, and it is important to make this clear, that the decision to hold the summit with the North Korean leader was not just a voluntary concession, but was taken in accordance with an established procedure. That is to say, Mr. Trump is continually having to prove that he is not giving in to Kim Jong-un. 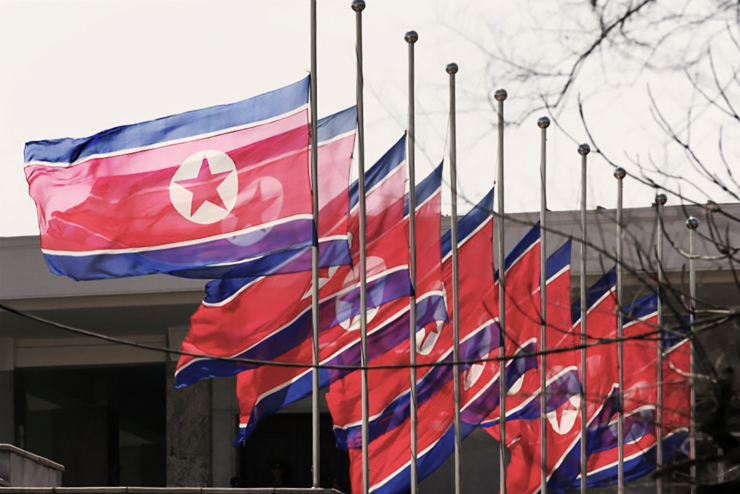 Thus, on April 22, he was forced to respond to allegations by certain media outlets that Washington had made important concessions to Pyongyang, and that the latter, in contrast, had not agreed to give anything up. He pointed to North Korea’s announcement that it was releasing 3 US citizens accused of spying, and to the demolition of its nuclear test site, and emphasized that while North Korea had done everything it had been requested to do, the USA had not made any concessions of an equivalent significance. John Bolton, the United States’ National Security Adviser, is not in favor of holding the summit. According to media reports, he was absent from the meeting between Mr. Trump and Kim Yong-cho because Mike Pompeo, the US Secretary of State, had advised Mr. Trump that his presence would be “counterproductive”. 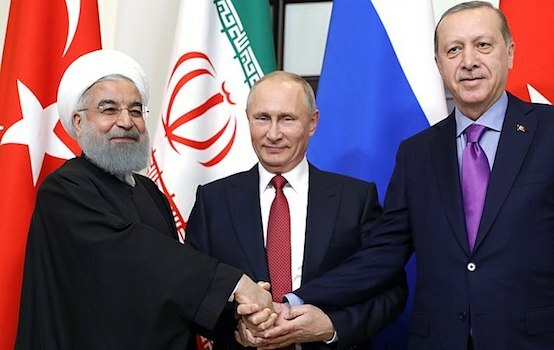 It is therefore likely that some attempt will be made to sabotage the summit or disavow its achievements, by means of ill-considered declarations or actions. Mr. Trump may find the summit a severe test of his patience: he gets impatient with long briefing sessions, and his suite often has to decide exactly what information to give him, and how to stop him making purely instinctive decisions. 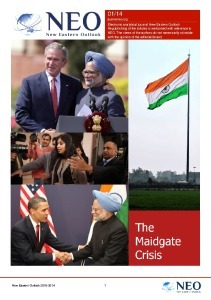 Nevertheless, the present author looks forward to the meeting between the two leaders. On June 5, speaking about the upcoming summit in Singapore, Donald Trump declared that it would be a very important “couple of days”, which led experts from South Korea to speculate that maybe the summit will be extended, or discussions will continue after it has finished. There have even been speculations that Donald Trump may be considering the possibility of holding a three-party summit, between the USA and both Koreas, and even that the end of the Korean war may be officially declared. As for the intended agenda of the summit, and its results, the present author will write about these matters once this long-awaited meeting has taken place.